After you hit Confirm the Order Button you will receive an email listing the items purchased. If you have not receive this confirmation, please CONTACT US . We will update your order. Once the status is "order collection" items are being picked. If one item is missing we must order it. We will tell you the delay estimation by email. One item can be out of stock, we will give you the choice to either get a refund for the value of the missing article OR you will have the opportunity to choose anything else of a very similar value on our online shop. 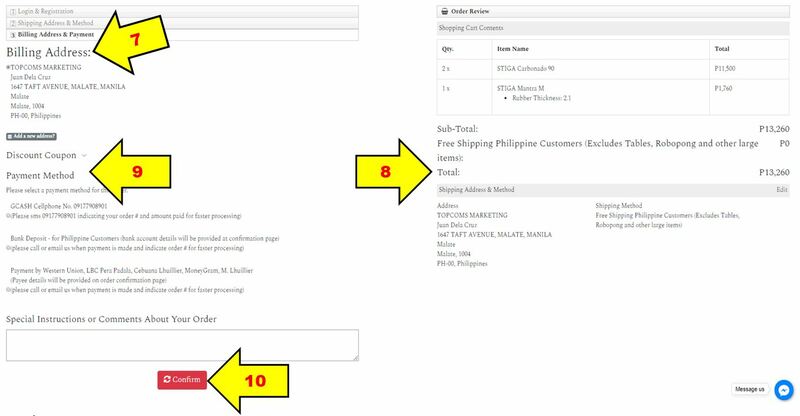 PingPongOnline.com sends your order you will receive a shipping confirmation, and we will immediately give you the tracking number. Depending of the shipping methods you chose, you will be able to track your package. You can cancel your order so long as it has not reached the Order Packing status. Please CONTACT US as soon as possible, and we will cancel and refund payment. No questions asked. If you want to cancel partially your order we will refund the value of the items you do not want. Note:Should you have requested gluing and cutting and it has been done, we cannot cancel and refund the order.